Rooms are provided with a hospitality tray, hairdryer, dressing gown, digital flat screen TV with Freeview and WiFi. 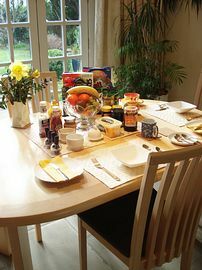 Quality breakfasts are freshly prepared to order. This Bed and Breakfast is close to the City centre, a short walk from Market Place, the Castle, Cathedral, riverside paths and the Gala Theatre. Some of Durham's best restaurants and pubs are within easy walking distance. 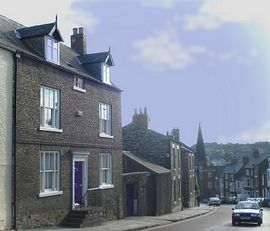 Ideally located for exploring not just the City of Durham, but all the North East has to offer. 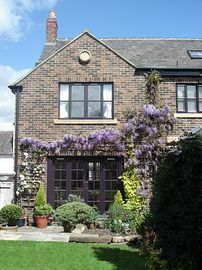 Five minutes drive from the A1M motorway and 10 minutes walk from Durham mainline Railway Station. Nearest airports are Newcastle or Durham Tees Side. Double bedded room: £80.00 including breakfast for two. 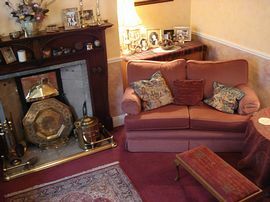 Single occupancy: £60.00 including breakfast. Open all year except Christmas and New Year's eve. Special Diets Provision: Special diets are catered for. Vegetarian, vegan, gluten free, nut free, or any allegies catered for on request. Take Durham turn off from A1(M) Motorway. Turn left towards Durham on A690. Notice sign for Claypath on footbridge over dual carriageway. Exit station and walk down hill towards Durham City. Take long flight of steps down past Highgate housing development. Cross the road at the traffic lights and continue over the River Wear via the road bridge. Take the slip road rising left and at the top turn left into Claypath. Continue past the Gala Theatre up Claypath. After traffic lights at juntion with Providence Row, look out on the right side for a cobbled side street (Leazes Place). 66 Claypath is the first house up from Leazes Place and has a dark blue front Door with 4 stone steps surrounded by iron railing.